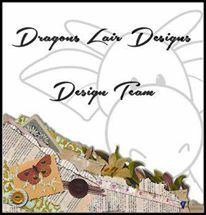 Over on the Dragons Lair Designs Fan Group we have lots of activities throughout the month. One of them is a Head to Head where both Design Team members and any other group member who wants to become involved use the same Dragons Lair Design digital download to make their creation. It runs from the 1st to the end of the month so plenty of time for everybody to have a think and get involved. This is an activity where those who take part need to buy the collection being worked with if they don’t already have it in their digital library – but – one person who takes part is chosen by a Random Number Generator to receive the collection kit for the following month free. It’s so interesting to see the different makes side by side in the Head to Head gallery – so much variety in the makes. 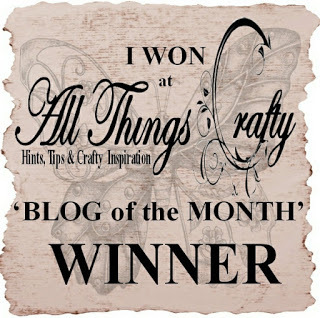 So why not join us in the Fan Group and have a go – or just join to be inspired by the creations others have made. Those of you who vist my posts regularly will know that I very rarely make things with English writing on them, making cards with either Welsh or no greetings mostly. In fact, I just couldn’t get any inspiration for a Head to Head make last month which was based on English word definitions. So this month I thought I’d challenge myself to come up with something with some English wording on. 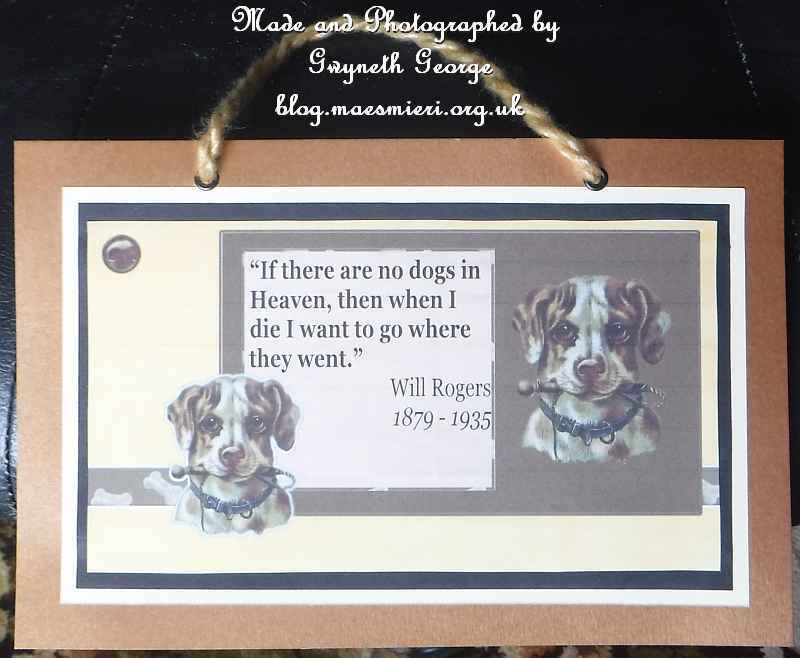 As the Zoodles collection is centered around a dog I went online to look for a quote that would go with it, looking for one that was attributed to a person long dead. I took items from the collection into My Craft Studio Elite and played around with the layout, adding in the quotation, until I was happy with the panel I created. This was printed and then cut out. I then cut the pieces of coloured cardstock to be a little larger each time and stuck the matting and layering together, finishing off with the quotation panel. I used my Crop-a-Dial to make two holes and to set the two eyelets before I twisted the yarn to make a “rope” hanging cord which I tied on. Dragons Lair Designs supply an eclectic assortment of digital downloads. 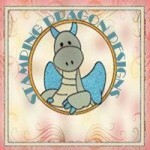 These include whole collections of items that work well together, digital stamps, etc. 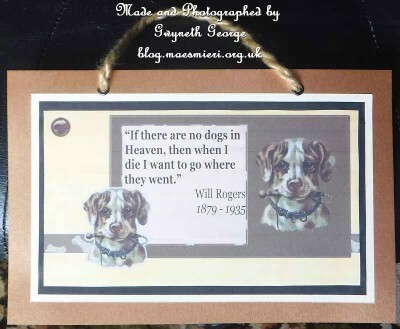 Buy, download, then either work with the items digitally, start digitally then print out and complete your crafting as a hybrid project, or print straight out and do your usual papercrafting.